Our next yoga and pilates retreat will be in May 2016. 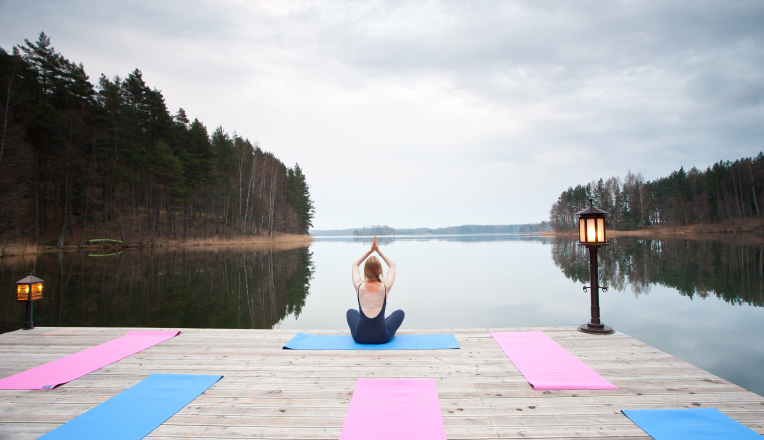 Join us for an escape to the Lithuanian Lake District with a yoga and pilates retreat. Enjoy several days in a private estate overflowing with lakeside charm and lovingly looked after by the owners. Complete with an eco hot tub, sauna, and lakeside view, you can also rest assured that the vegetarian/vegan menu is cooked in-house. The Lake House stands calmly on the shore of the lake in the natural park of the virgin pine forest promising the uplifting feeling of well being with the serene and calming sight of an idyllic landscape. The peaceful setting offers a perfect escape to nature, inviting you to swim with the swans in the calm and pure waters after enjoying the relaxing effects of a hot tub bath and detoxifying with a traditional sauna. It is no wonder why this region is recognised as a European “Destination of Excellence”. To find out more about our upcoming retreats, please visit our Retreat page.